Dr. Lau came to visit on a little bit of an interesting day. Usually on surgery days, I'm seeing patients in clinic, and we have a surgical technician dedicated to preparing patients for procedures with Dr. Holzman. On this day, staff optometrist Dr. Mahal was seeing clinic patients while I prepared patients for surgery. 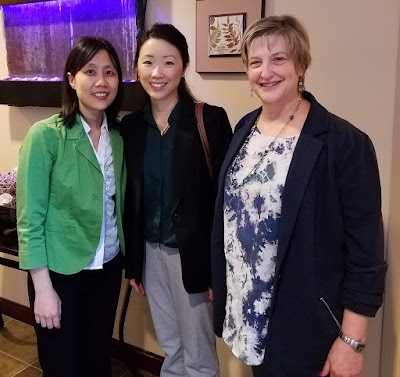 I thought it was cool that Dr. Lau could work with three different TLC docs in one visit! Have you ever filled in for a role that your staff member normally does? Whenever I take over a staff members' role, it always reminds me of the respect we need to have for how our staff members perform their jobs. It helps me remember that we should all help each other get through the day by working together as a team. Easier said than done, I know, but it should be a goal.